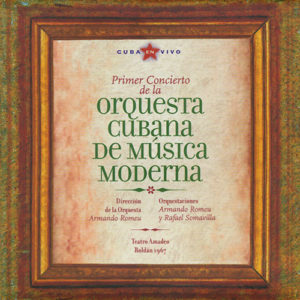 The Orquesta Cubana de Música Moderna was one of the early swing bands that rocked Cuba and it’s hardly surprising why. The big band not only boasted big and vociferous brass and woodwind sections, an orchestral timpanist, two percussionists and two drummers, and a pianist and organist but the roster read like a who’s who in music on the island. Firstly it was conducted by the venerable Armando Romeu. 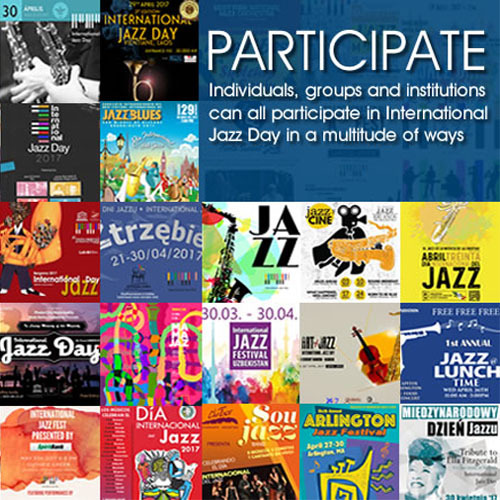 Contributing to the vivid big band sound were Chucho Valdés, Paquito D’Rivera and Manuel Mirabal together with Cachaíto” López, the inimitable Guillermo Barreto and Enrique Plá, backed by the battery of percussionist Luis Aragú, Oscar Valdés Jr., Roberto García and Oscar Valdés Campos. On this, the first concert recording of the group the repertoire is short and probably not representative of “everything” that was performed at that evening in 1967. However, the recording comprises seven of the most exquisite examples of work that the ensemble played as part of its songbook. Three notable songs actually come from the American Songbook and include “The Man I Love and “Room 43”. These two charts provide a masterful reminder that swing music was not only alive in Cuba at that time, but that the kind played by Orquesta Cubana de Música Moderna is without a doubt on par with anything that the orchestras of Duke Ellington, Count Basie, Artie Shaw, Benny Goodman and others were playing in the United States. And it was not simply the fact that this orchestra could make a “loud noise”, but that the charts were intricately arranged and played with the kind of brimstone and fire that could bring down any house, no matter how resilient. It is also a revelation to listen to what the great Chucho Valdés sounded like in 1967 – not only on piano, but judging by his performance here, he had extraordinary organ chops as well. Paquito D’Rivera’s characteristic sharp and wailing alto saxophone is often heard in ensemble passages but he also solos with characteristic fervor as well. The ensemble and its soloists make a memorable noise throughout in no small part due to the exuberant direction of Armando Romeu. Each member injects just the right amount of melodic, harmonic and rhythmic fluidity into his playing, while the main roles of the soloists are brilliantly characterised. This is not easy work to pull off; but both orchestra and soloists shake off their inhibitions without being brash and noisy – right from the opening featuring “El Manisero” to the classic “Mi Guajirita Guantanamera”, to close out this set. Each song is a fresh, exhilarating and utterly idiomatic performance and moreover, the recording sounds fresh and affecting as well.